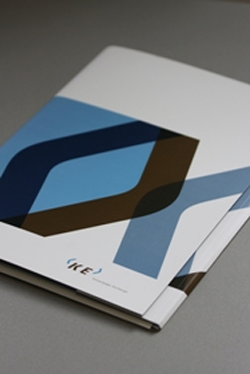 Knowledge Exchange (KE) – a cooperation of five national funding organisations (DFG, Surf, DEFF, CSC and JISC) – has been founded in 2005 to improve the digital infrastructure for information and communication technology as it relates to the research and university library sectors. Since 2005 KE is very active in multiple areas. These areas are clearly intended to encourage open access to the tools of science and scholarship for the higher education and research communities. They also contribute toward building an integrated e-infrastructure and exploring new developments in the future of publishing. There is a specific focus is on the development of storage, accessibility and quality assurance of digitally published research data. Another area of activity is directed at exploring effective investment in research tools (like interoperability standards; research data; research tools and sustainable business models for Open Access. ‘Open knowledge’ is the power to promote fast, creative innovation by allowing an idea to leave your hands. Essentially, something is ‘open’ if anyone is free to use, reuse and redistribute it. It should only be subject to the requirement to attribute the author, if even that. This is one of the views provided by experts on the value of making knowledge open which are collected in the Knowledge Exchange discussion paper on Open Knowledge. Mechanisms of open creation offer opportunities to work and exchange with other sectors – research, cultural heritage and government. To make true use of this collaboration we require an increase of openness, to create better proposals and solutions. We simply cannot afford to not open up, we need an open approach to tackle the challenges facing us.